Hey, BOO! 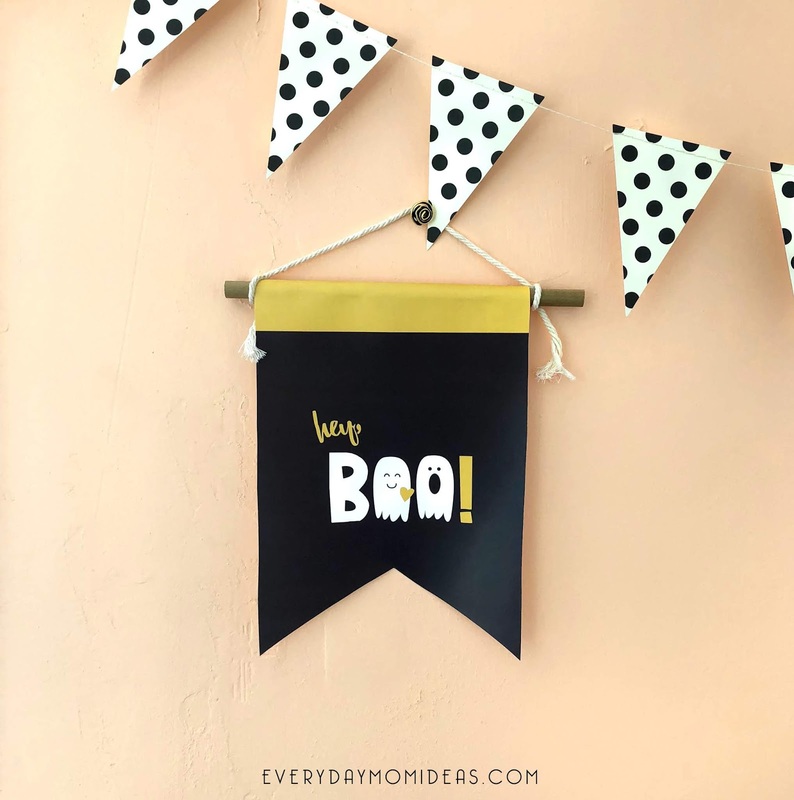 You can download and print this modern Halloween printable here at Everyday Mom Ideas. 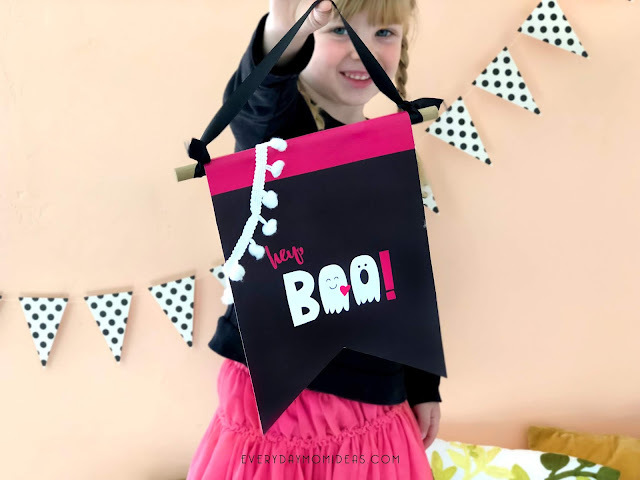 This Hey Boo printable makes for a perfect low-cost Halloween craft for kids or adults. There are five colors to choose from, flamingo pink, mustard yellow, peachy pumpkin, goblin green, and witchy plum. So there is a color for every decor and personality! And its all for free because I love to spoil my readers! A lot of my halloween printable have a vintage flair because I live in a 1928 bungalow and want my holiday decor to go with my house. But I also love simple modern designs that are fresh and fun. 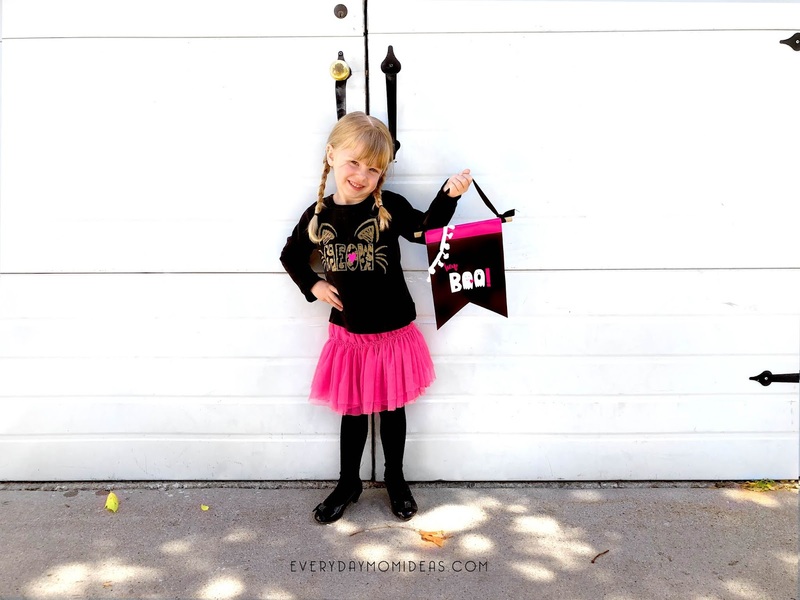 So thats why I designed my little Hey, Boo Sign. This is an original inspiration and artwork of mine and until someone copies me and steals my design this is the only place you can get this specific Hey, Boo design with the two little love ghost. To turn this into a craft just print and cutout. Glue onto a wooden dowel cut at 10 inch length. Than add some string or ribbon to hang it up. I designed these printable with an extra color top so that the printable paper can be folded over your dowel and hot glued on and still show that pop of color on the top of your banner. When all assembled you can add little embellishments like paper pumpkins, tastes, or pom pom ribbon. So many ways to make this your own. These are the perfect size for decorating lockers, bedroom doors or even your office desk. 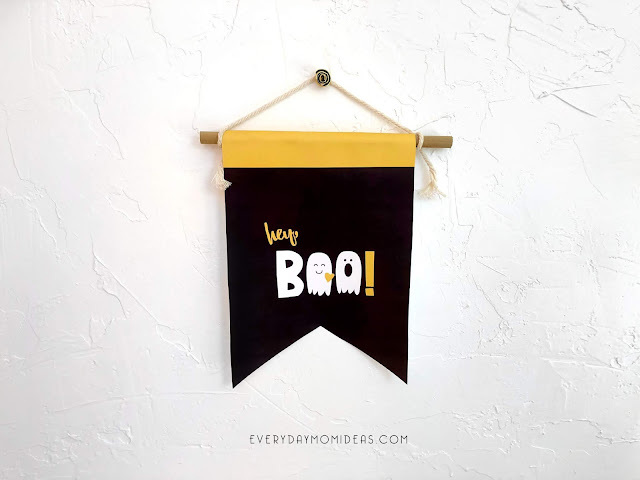 You can print it larger on a poster size paper and have a bigger door sign or print it two to a page to make mini halloween flag banners. 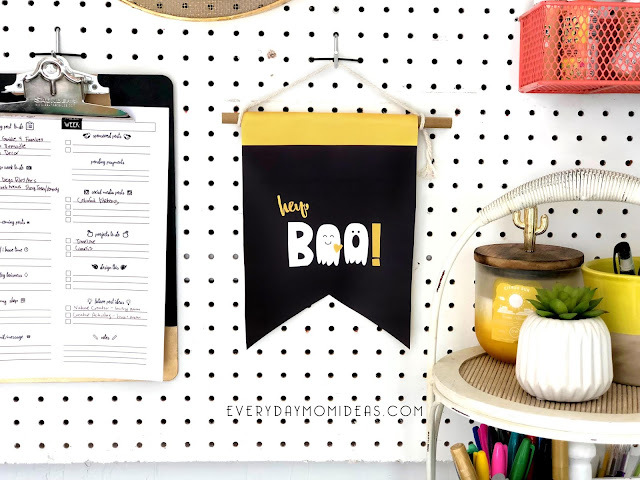 Its easy to download and/or print this Hey, Boo printable Just head over to google Docs by clicking on this image above and it will take you strait to it. No ads or wait time. Remember sharing is caring and it means the world to content creators like myself if you will just share or reposts about our printables and other blog articles. So please take a minute to pin this Pinterest friendly image below with your friends and family or share this article on Facebook. Oh and we love COMMENTS!